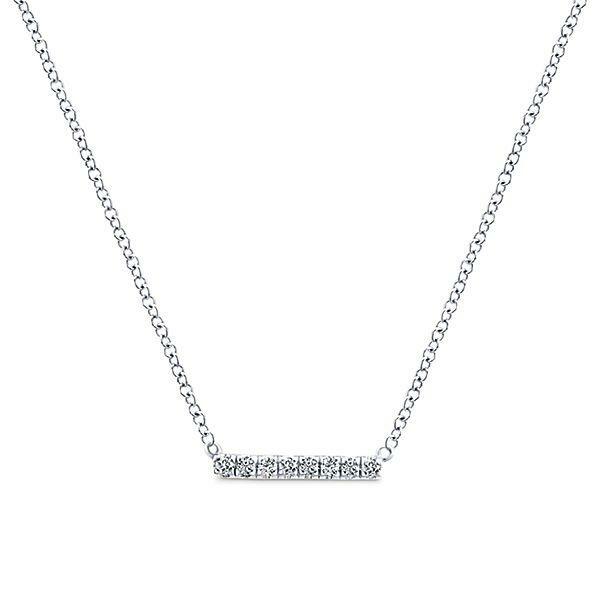 A delicate but dazzling diamond bar pendant crafted from white gold on a simple cable chain. 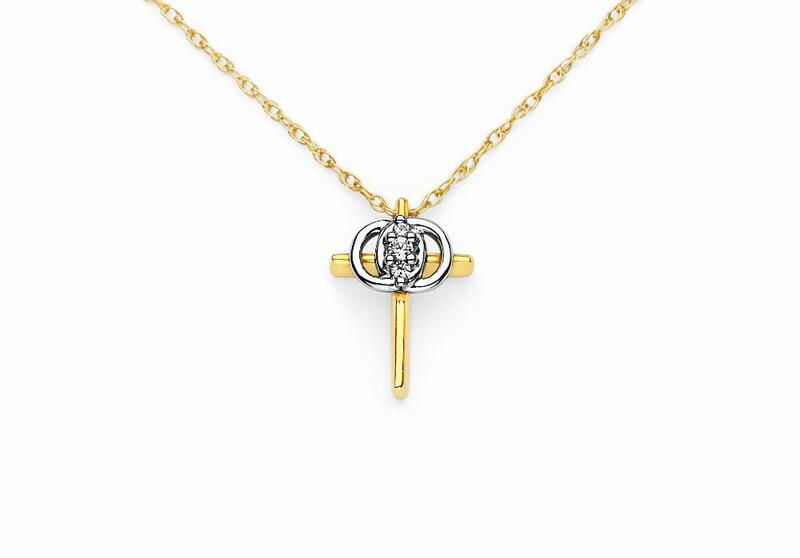 The pendant features .06ct of round diamond melee G-H in color and SI clarity. NOTE: White gold is in stock other metals can be ordered.